Our customers are able to drop-off and pick-up their children without incurring a parking fee, provided that each visit is strictly under 30 minutes. You must purchase a ticket to pay for parking or exit the car park before the expiry of the 30 minute period to avoid an automated PCN for £60.00 which will be send via the post. Eleven Plus Exams does not operate the car park which is totally outside of our control and there we cannot be responsible if you receive a PCN. There is limited metered parking on Lyon Road which is a one way street. Our Centre at Congress House is on the left hand side. 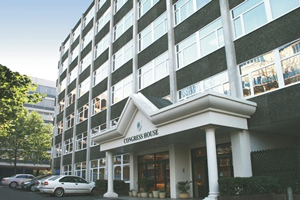 There are also two adjacent car parks next door to Congress House, on Lyon Road. These car parks are located at the end of Lyon Road on the left hand side before the Gayton Library. The ElevenPlusExams centre has wheelchair access and is located on the ground floor. Disabled toilet facilities are also available on the ground floor. If you are disabled and attending the centre please give us advance notice and we will ensure your needs are accommodated. You can call us on 020 8204 5060.